Professional Office/Retail building for sale in highly visible area with 10,000 cars passing by per day. Building has 7686` sq. ft. in total with multiple units. Currently 6 units on 3 stories (1st and 2nd floor and above grade lower, level with two 8` ft. overhead doors) on 2.7 level acres. 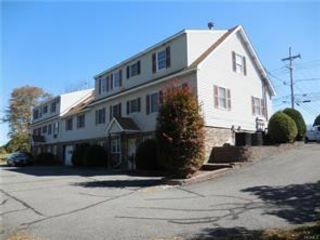 Located at busy and convenient intersection on Route 6 close to major transportation and shopping arteries of the area. 2.5 miles to 17M and I-84. Large units up to 3000` sq. ft. Plenty of paved parking area for up to 40 cars. Property upgraded in 2007. Currently, 2 units are vacant and 4 are rented. Projected annual income $80,000 - $90,000 when fully occupied with a possibility of expansion to the building with an additional income. The potential is unlimited on this large 2.7 acre lot. Across the street from new retail plaza. Activity in this part of the county is in the making. Natural gas for fuel.